The garters run large. Love the colors though. At Can Can Concealment, your safe comfortable carry is our goal! Gun enthusiasts Alison Scutte and Darlene Cahill were surprised at the limited number of conceal carry options available for women. They decided to team up and make a tactical conceal line that would work with women’s wardrobe. After brainstorming, they came up with the Classic Corset, Classic Hip Hugger and Classic Garter. They sold their first Hip Hugger in July of 2013, and the line’s popularity continues to grow as women discover that conceal carry can be effortless and beautiful. Pretty cool. But I think American kids could beat their times. At least hope. It’s ridiculous that we keep having these incidents . . .
Why are people being killed by someone using someone else’s gun? Seriously, why was this gun available to be used by this kid in the first place? I believe this gun belongs to the kids father, so why has the kid got it during school hours unsupervised by anyone? I am a strong believer in gun owner responsibility. If you own a gun and it is not in your physical possession, then it should be secured from use by others. Not that big a task for any responsible person. Safety Tips written by a Cop continued…. Excellent tips on safety awareness. I started this yesterday. If you missed it, all you need to do is click on previous up on the right hand side and it will take you to yesterdays post which was Tip #s 1 & 2. Again, our Sock it to Me Tool is a good thing to have hidden in your trunk as well as in your pocket or purse. It would make it easier to knock out the tail lights! And attack your attacker if he decides to open the trunk again. SAN FRANCISCO (KPIX) — Spam, canned vegetables and Ramen — hardly the stuff of gourmet cuisine but, when the next big quake strikes, such humble fixins may be all you have in the cupboard. Friday night, San Francisco’s top emergency responders used those ingredients in a cooking competition styled after the Food Network’s Top Chef. Their challenge: turn bottom-shelf pantry items into something truly tasty. 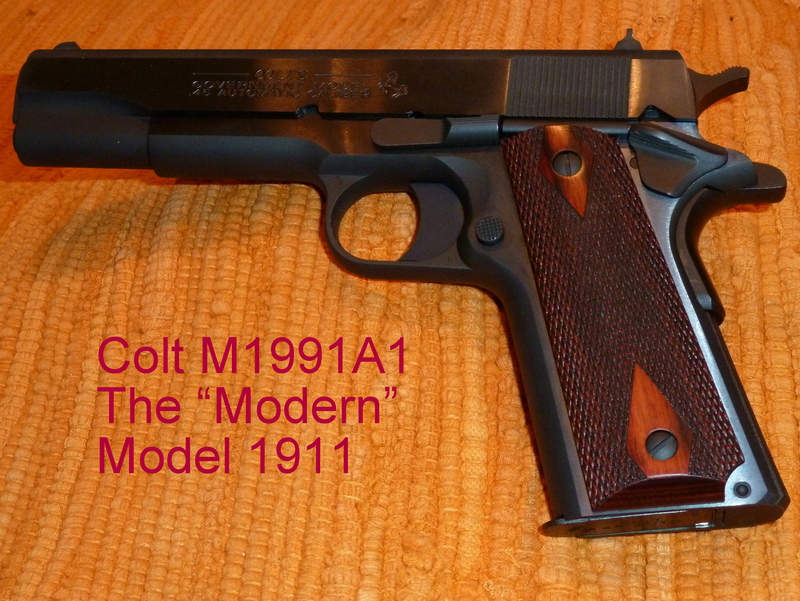 Next Monday I’ll be presenting a review of the firearm pictured here, but today I want to devote this blog to one of the most iconic and historically important handguns ever produced — John Moses Browning’s superlatively designed, stunningly beautiful achievement the Colt Model 1911 designed for the potent .45 ACP cartridge.